This week's podcast was inspired by Katie, an intrepid reader who recently left a comment on something Jorge wrote way back in 2008 (talk about a deep cut!). Jorge's post came at the beginning of this generation's co-op boom and Katie's response provides a good starting point to discuss the ways in which the trend has affected the way we play games. How have different styles of collaborative gameplay distinguished themselves from one another? What happens to in-game storytelling when another player is along for the ride? Is the co-op trend a fad and how will it change in the coming years? We touch on all these topics and look forward to hearing from you in the comments! Scott and I have ventured deep into Yamatai's hidden tomb and returned with a treasure trove of insight into the exciting Lara Croft reboot from Crystal Dynamics. After a painfully long, and troublesome, hype cycle, we can at last return from the island and share our thoughts on the game. Does this re-imagining of this pop-culture heroine breathe new life into the old franchise? Are quick time events back in style? Why does everyone on this island keep a diary? Join us while we discuss these questions and more! Be sure to hop into the comments below with your own thoughts on the game! This podcast started with a single question I posed to Jorge: "If someone who has never played games came to you and asked you to show them what video games are all about, what would you show them?" It's a big question, one that may well be impossible to fully tackle, but it's something that has come up in the wake of BioShock Infinite and the discussion surrounding its violent imagery. Does the game undercut the impact of some of its themes with unnecessarily explicit or abundant scenes of violence? Is it a problem that one of the premiere examples of artistic and narrative achievement in the medium falls back on the familiar run-and-gun scenario? A growing number of folks are saying "yes" to these questions. This week, we talk about what types of games encapsulate the medium, and how we introduce them to the uninitiated. Almost six years after BioShock took the world by storm and forever changed our relationship to video games, the esteemed Ken Levine is back with another work of fantastical and historical fiction. At last, after several delays, BioShock Infinite is in our hands. Columbia might be in the sky, but is the story grounded? Are the systems tight? Does any of this even make sense? 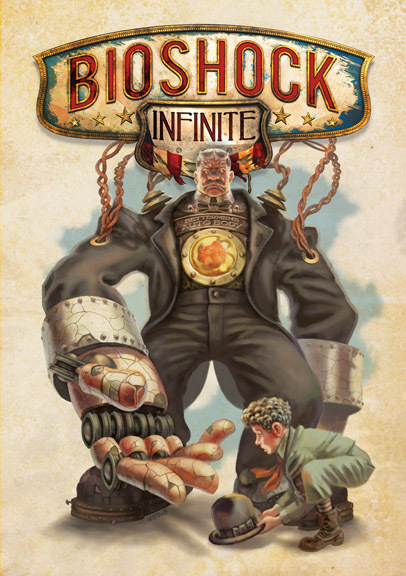 Join us this week as Scott and I mine the richness that is BioShock Infinite. As we always promise with debriefs, we will give you plenty of notice before we spoil anything, so feel free to jump in, whether or not you have played the game. When you have finally seen an end to the story though, be sure to come back and leave your thoughts on the game in the comments below (and when you do, spoiler warning tags are always appreciated.